Free Standard Worldwide Shipping + Extra $10 OFF! There are 0 items in your bag. There is 1 item in your cart. 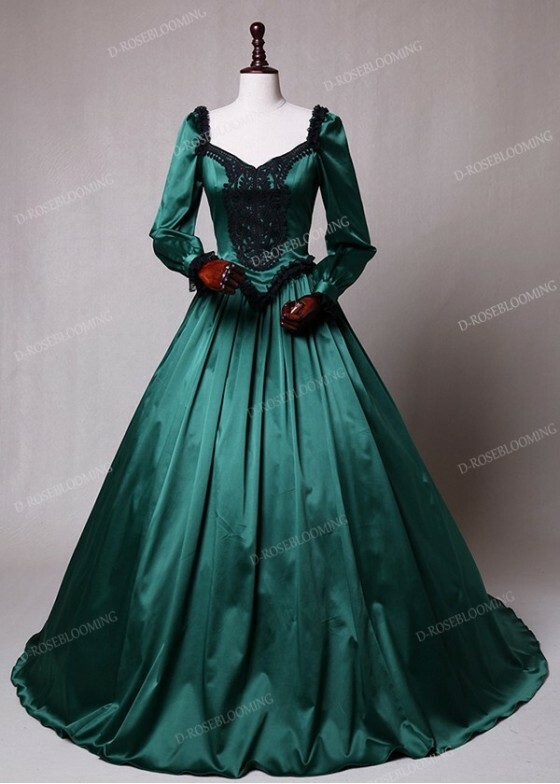 This dress is pictured with a 6-hoop skirt underneath to achieve the look. Hoop skirts are not included with our dresses. Tariff are determined by customs officials and are the responsibility of the buyer. DRB guarantee return or exchange within 15 days from the delivered date. 2. Items received unworn, unwashed, all tags attached and in original package. The styel gallery is a great new way for you to share outfit photos,It's meant to show all the expressive,creative and inspirational personalities! DRB, a specialty women's alternative clothing brand with attributes of darkness, bold expression, creativity in its design. Our main styles are: Gothic, Medieval and Victorian. Copyright © 2017, D-roseblooming.com. All rights reserved.